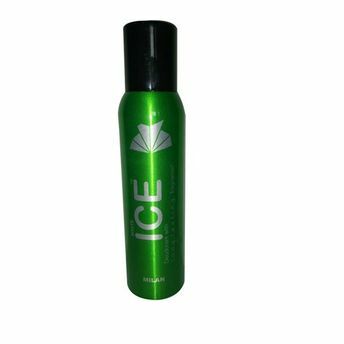 White Ice Deodorant is an international line of fragrance that gives you freshness all day long. These refreshing body deodorants are made specifically for sensitive skin with a non-alcoholic formulation, and keeps away any adverse effects of applying alcoholic deodorants on your skin. Keep body odour at bay and refresh your senses using White Ice deodorants that give you lasting fragrance. WhiteICE deodorants are available in five exotic fragrances and are named after internationally famous locations like Rome, Milan, Texas, Alaska & Rio. Explore the entire range of Deodorants/Roll-ons available on Nykaa. Shop more White Ice products here.You can browse through the complete world of White Ice Deodorants/Roll-ons .